Used Ford Focus Review - 2011-2018 | What Car? When the original Ford Focus was launched in 1998, it rapidly established itself as the family car of choice for keen drivers. It was practical and well equipped, too, and in combination with Ford’s reputation for building cars that are good value for money and generally reliable, it soon became a firm fixture in the UK best-sellers list. And there it's remained ever since. Subsequent versions of the car have added a little weight and a dash more complexity but they have still managed to hold on to the sporty element. This third generation model, launched in 2011, is still considered a good car to drive, despite the increased competition from a number of excellent rivals in the family car class, but its efficiency and in-car tech are at levels that the earlier models couldn't hope to match. It comes with a huge choice of engines, too. The petrol engine line-up starts with a 1.6-litre that has to be worked hard and isn’t particularly efficient. The 1.0-litre three-cylinder Ecoboost might sound like a small engine but it comes in either lively 99bhp or 123bhp versions and is in fact a capable and refined choice. There are also two 1.5-litre four-cylinder Ecoboost engines to choose from, both with more punch than the smaller engines but inevitably a greater thirst for fuel. Among the diesel options, the 1.5 105 Econetic is remarkably economical, while the 118bhp 1.5 has more power and is a bit more efficient than the cheaper, older 1.6 diesel; the 2.0 TDCi 150 meanwhile is a satisfyingly swift performer and offers a good combination of speed and economy. There have also been a couple of high-performance ST models, offered with a 182bhp 2.0-litre diesel or 247bhp 2.0 turbocharged petrol engine, both linked to manual gearboxes, and a super-sporting and much lauded four-wheel drive 345bhp 2.3-litre RS version, which was launched in 2016. Trim levels have been equally generous. 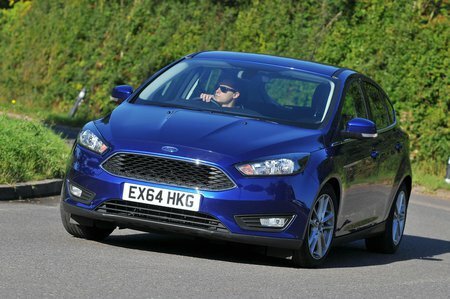 From launch, the Focus was available in Edge, Zetec, Titanium and top-spec Titanium X trim levels. Studio, Econetic (a fuel-saving model equivalent to Volkswagen’s Bluemotion), Style and Zetec S models were added at various later stages, as well as an electric model. 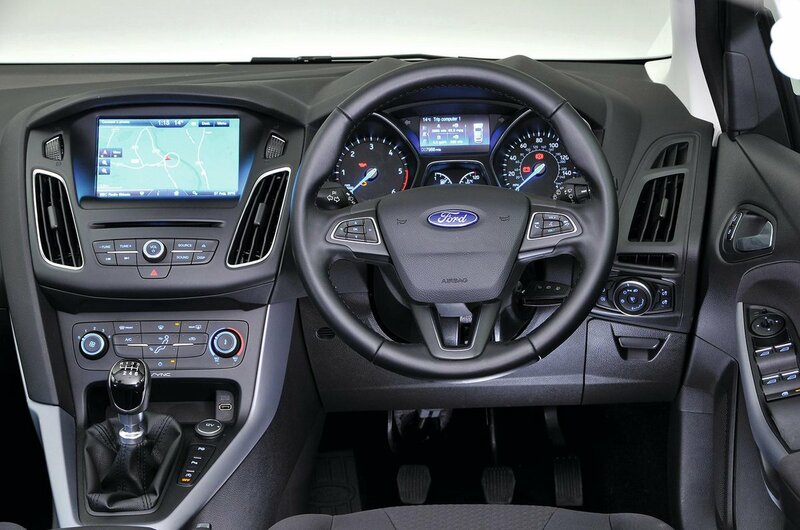 Almost every Focus features air conditioning, alloy wheels, a USB port and Bluetooth, with the most popular trim, Zetec, offering a DAB radio and a heated windscreen. The steering is a particular Focus highlight, and this model retains a level of accuracy and response so often lacking from its rivals. It grips well and handles tidily, with more than a hint of fun, even if it's not quite as thrilling as the original Focus seemed in its day. What’s more, while the ride is not quite as comfortable as the latest Volkswagen Golf's, it isn't terribly far off, being comfortable and composed over urban ruts and potholes. Inside the driving position’s excellent, although thanks to its thick pillars visibility can be an issue. The interior quality is acceptable given the car’s reasonable price, but many of its rivals do feel more up-market still. Space up front is good, but it’s a little limited in the rear seats, with a large central tunnel robbing the rear passengers of some leg room; overall the Focus's main rivals do feel more spacious. It's the same story for the boot, which is of adequate dimensions, but smaller than most rivals now offer. It was also the recipient in 2014 of one of the car industry’s more dramatic mid-life facelifts in which the front and rear styling were significantly enhanced and the interior design went from a button-lover’s paradise to a more tech-savvy touchscreen. These cars are definitely worth seeking out when buying a used Focus.